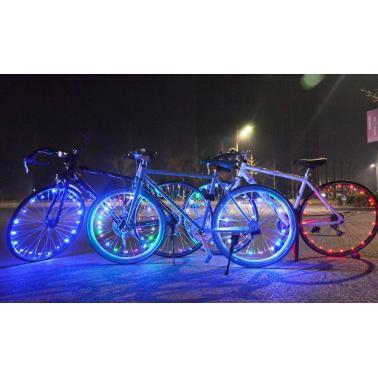 This LED wheel light can make your riding visible and safer at night. Water-resistant design to ensure light work normal in the rainy days. Small size battery box powered by one AA battery which is easy to install and remove. A pretty cool cycling wheel light for riders. Super bright 2.2m LED light string,contains 20 LEDs. 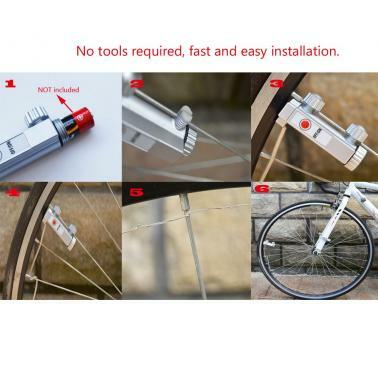 Can be fixed on any cycle with standard spoke with diameter no more than 2.3mm. 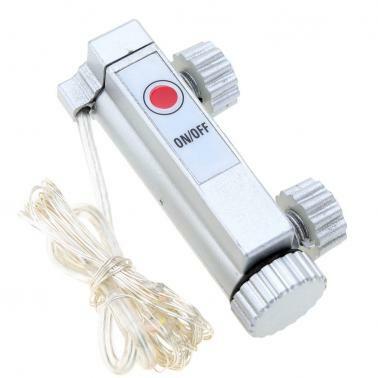 ON/OFF button to switch on/off the light and change between two light modes(steady or flash). Water resistant design, can be used in rainy days. No tools required, fast and easy installation. 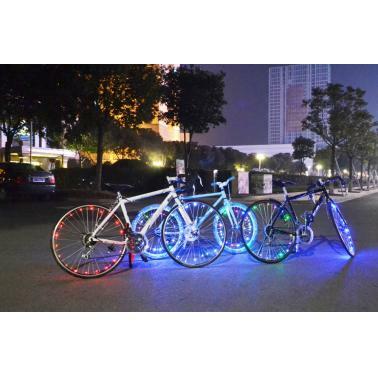 Make your riding safe and visible at night. 1.Put screw stem implant into cycle spoke. 3.Twine the thick wire on latest spoke tightly first to fix battery box position. 4.Enlace the light string on spoke following. Package includes light for one wheel.